Today we went with our visitors and their children to Discovery Land. This is a massive play area in the North Plaza of Discovery Bay that has activities and play areas for kids from toddler-age until early teens. There were the basics – slides, padded areas, and soft balls. 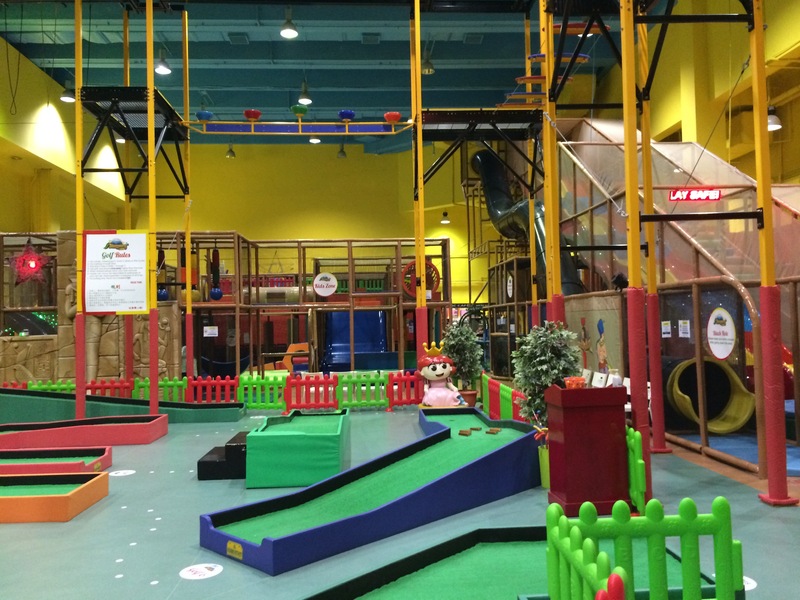 Then there were the things that set this place aside from your regular play place, like higher slides, trampolines, air guns to shoot the soft balls, basketball, mini golf, and a crazy obstacle course that looks like it is an American Gladiators set. The little guy was maybe a bit too young to fully enjoy the place, but I enjoyed it. It’s fun to have something more than just a few toys and screaming kids sometimes. Regarding Discovery Land itself, it was really clean and well-kept. We went during their “happy hour special,” which is between 9:30-11:30, and it only cost 80 HKD per child (about 85 sek, 10 usd). My only complaint was all the notices, warnings and rules posted on all the walls – but then again, that’s how it is everywhere in Hong Kong!